The world is experiencing two important demographic shifts: people are living longer and our population is becoming more diverse. A growing aging population results in major implications for health systems, families, and the economy. In the United States, 80 percent of people over the age of 65 are white. By 2050, that percentage will drop to 59 while the number of Asians and Hispanics in this age group will triple. 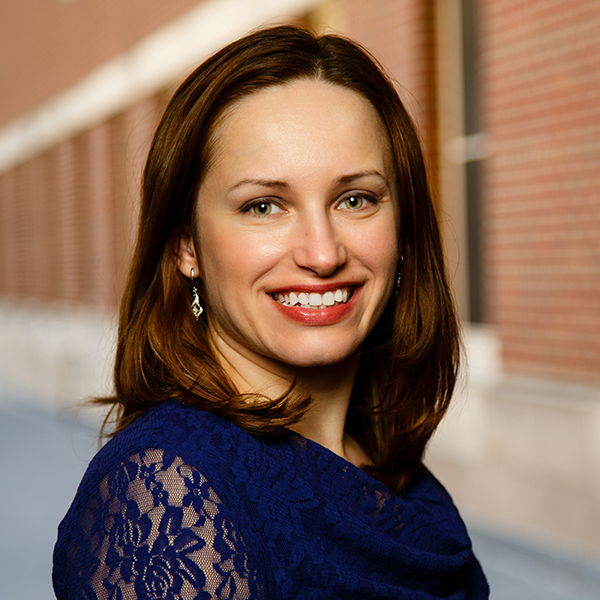 At the intersection of these two major public health changes lies the research of School of Public Health Assistant Professor Tetyana Shippee. She’s working to help answer a very large question: How can we make care toward the end of life a more positive experience, regardless of race, ethnicity, or culture? The U.S. Department of Health and Human Services projects that 70 percent of Americans over the age of 65 will need some form of long-term care, which includes a spectrum of facilities from assisted living to nursing homes. The number of people in this age group is expected to more than double by the time the last baby boomer reaches 65 in 2030. Shippee became interested in gerontology research while studying as an international student from Ukraine at Lee University in Tennessee. 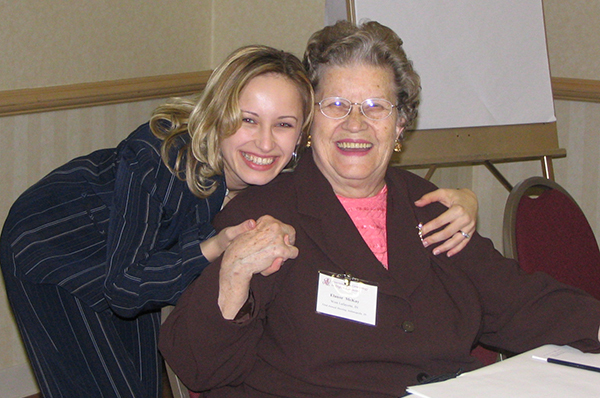 Later while in graduate school at Purdue University, she lived in a long-term care facility for two years. Among daily meals and card games with residents, she became curious about how they gauged their own happiness and found that quality of life had the greatest impact. Shippee with Eleanor McKay, a fellow resident at the long-term care facility where Shippee lived during graduate school. While previous research into long-term care facilities has mostly focused on quality of care, Shippee is shedding light on the importance of quality of life, which includes everything from staff interactions to the friendships among residents. “Many of the people in these facilities can’t be ‘cured’ from underlying health issues, so their quality of life matters tremendously,” she says. Today, the majority of people in U.S. long-term care facilities are white, which is apparent in the language spoken (primarily English) and in the food served (think potatoes and casseroles). But by 2030, it’s expected that there proportionately will be more residents from other ethnicities and cultures. “We need to better understand these groups and make sure that they have a voice in their care,” says Shippee. Currently, the Minnesota Department of Human Services (DHS) interviews nearly 15,000 nursing home residents every year about their quality of life. But historically, residents are sampled randomly and a very small percentage of those interviewed come from minority populations. But Shippee is working with DHS to change that. Starting in 2015, minority residents were over-sampled for interviews, to ensure that their voices are heard and represented. DHS also interviewed residents in languages other than English for the very first time. This data allows Shippee to identify quality of life measures within minority groups and to truly tell how facilities can help these residents. Shippee’s work is also expanding to keep up with the changing model of elderly care. She collaborated with MN DHS to develop a first-of-its-kind tool to measure quality of life in 90-day “rehab” stays at nursing homes that are covered by Medicare. “Quality of life measures like relationships aren’t as important to these residents who are primarily focused on recovery and going back home, so we need to know more about what is important to them,” she says.